The mosaics in the Dimensioni Collection are suitable for interior and exterior vertical surfaces. Coliseum is customized to fit each installation. Città and New Leaf are available in the Studio Line, which is ready to ship in 48 hours. The collection is available for purchase at New Ravenna showrooms throughout the United States, Canada, Europe, Russia, and Dubai. 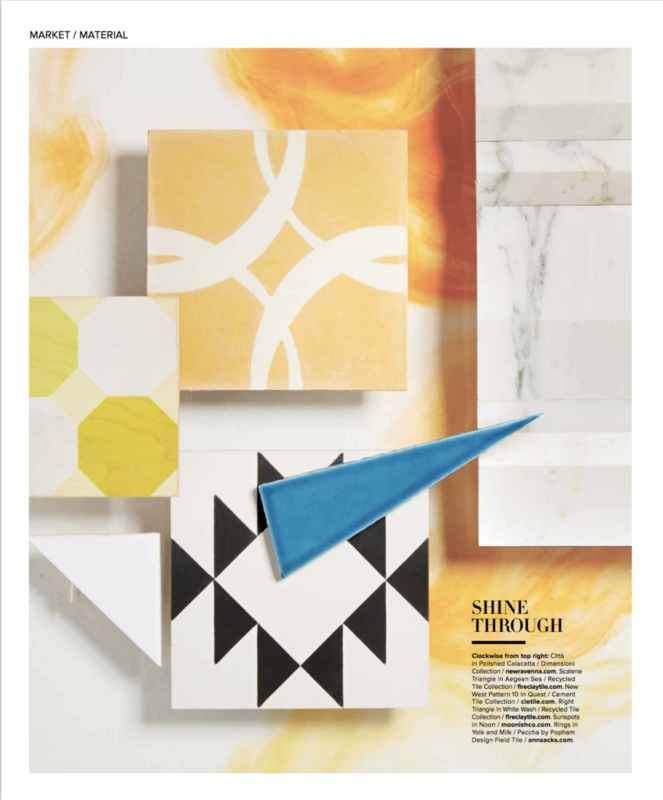 Deborah Osburn, the founder of says of the clé new west collection of cement tiles, “It is a collection with roots in the wild, wild west, but with a vibe that’s everything new.” The composition created by the Luxe Magazine editors certainly illustrate her premise.